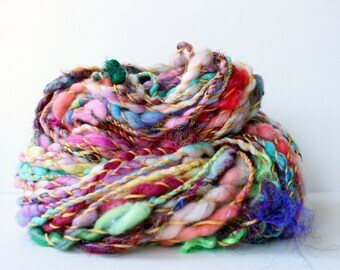 pretty add-ins all lined up beside the drum carder silk, recycled sari silk, firestar, silk cocoons, mohair, curls. all specially hand dyed of course. close up of "snowbirds" wiggly art yarn in store now. new in the shops regular rotation "noir", shades of black through grey. choose your length to suit. running out of the new batch of "sherbert" fast !! check out the shop to find what's left. 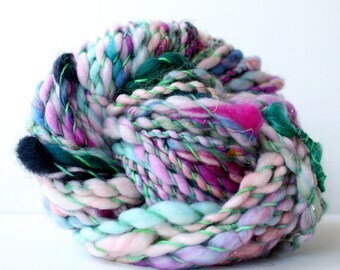 already starting to play and get ready for the next update on the wheel today some experimental spinning.